The concept of sarfa is akin to the concept of karma. in the same way that the concept of karma is taught to integrate an ethical code. which simply means 'cause has effect' or 'action has result'. and both the buddhist and western mutations of the original concept, karma. From this, I ascertain laterally that there necessarily must exist a concept of original saffa, which is sarfa stripped of the historic. Cohesively, saffron-robed priests. 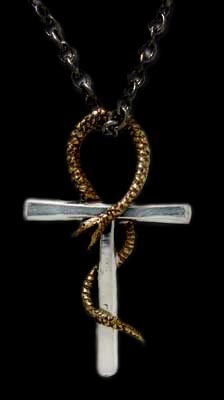 Serpent coiled around the Tao cross as the lore of Sarfa from the Shadow school. Please be aware that it is Shadow and not Abyss that is under discussion. It is certainly not satanic! or it may be applied 3 within its original, revealing context. Here we will undertake to analyze all three aspects. have developed are desert dwelling, solar worshipping. The Sun is God is Ra. that the bigger and holistic picture is revealed. Be aware that each phoneme has several inter-related definitions. When Sun is Above, Shadow is Below"
"The closer we get to god, the heavier the Shadow." The Umbra and Penumbra are two parts of Shadow. if it does not drive us crazy to do so. Some say that to face Shadow is to face ones own Self. Others, that it is Self which blocks the Light. its focus is on 'only the Light'. and that we contain both in our mortal existence. We must embrace both to retain Balance. which is a tension that leads to rupture. This school is known as the Shadow school. Its teachings are mostly intuitive rather than from instruction. who teaches much about Facing Shadow. The snake symbol means Life in global shamanic cultures. In Egyptology there are three types of snake, to differentiate different concepts. Sarfa involves all three meanings. this definition also is inclusive of such troubles from external sources. The hooded Cobra is more closely related to mastery of Shadow, thus is Royal. The concept Sarfa is perfectly encapsulated by it. thus is Shaman, farseer, pharoah. The word Sahara is defined as meaning 'Sorcerer'. The deep desert mystics claim that Sarfa is the only path to Truth. There is a common belief that Shadow is a negative energy. That prejudice is unfounded in actuality. "one cannot stand before god without casting shadow"
"one cannot know self until one recognizes and integrates shadow"
The Serpent and the Rainbow is a phrase with many shades of meaning. There is a reason why the relationship between the word Serpent and Repent. by which a spoken creates reality, rather than labels pre-existent reality. the same manner by which we 'cast a shadow'. properly it is called a Book of Light and Shadows Cast. Egyptian Temples are constructed that the front door faces East, Sunrise. The hieroglyphs of characters and animals always face the Source. Thus they mirror each other on left and right sides of the temple. to turn ones back upon the Rising Sun, upon Ra at Source. The technical term used for this is 'Osiris'. Pharoah (sorcerers) are self-initiated; marked ceremonially by the priests for State and statutory purpose; they are 'The Balance of Wholeness', and so forth. clockwise, circle turning toward your right. depicted as and associated with a horned viper. He is widely considered to be an evil god. He is twin brother of Osiris. You can see why he has revelance here. He is also perhaps an early origin of the concept 'Satan'. I do not personally believe that such a thing as Satan exists beyond human imagination & deification and the powa given it, as with any entity. 'Wholeness and Balance'. By this; Shadow. Another application for Sukhet, as Set is the rigid form of Mind, a perceptual grid. It has duality; it is intended to. In Islam, devotee's pray East toward the Rising Sun. is decorated with Egyptian Hieroglyphs in the sacred colours of Black and Gold. Ka and Ba are Egyptian words; they are two aspects of the Soul. and free it from karma of past incarnations. Gold as Re, Black as Abyss. The (only) Light in the Abyss. Prior to Christendom sweeping through Europe and destroying the celtic and other pagans, another force swept through Europe. The evidence for this has largely been stripped out of the official state histories, however sufficient evidence remains that we can make the connections and see the outline picture. The ruling bloodlines of the kings and queens of todays world descend back through time to the latter day Egyptian monarchy. It is vital to be aware that the earlier, original Egyptian monarchy, are a wholly different bloodline. The sixth dynasty was the last original Egyptian, after which they left for a New World. Haile Selassi is believed by Rastafarians to be the true king of Egypt. Through the west African islands to south America, where the Jaguar Priests, a reincarnation school that begat Egyptian myth of the afterlife (a life following after transmigration) established that myth as a living reality; the Mayan civilisation. The European and North American Merovingians descended from latter day Egyptian king Meru. They begat the Hapsbergs who begat the Windsors and the Percy's from whom 44/45 American Presidents have been bred. 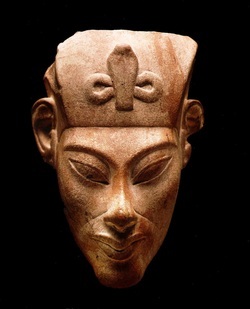 There is no coincidence that ancient Egyptian statues of pharoah look physically facially identical to eg; Prince Charles of Wales UK and President Barak Obama of the USA corporation (allegedly a corporate clone of original Akhenaten dna). The forgotten / deleted history of Europe is the armies of the Fire Snake, the Dragon, which burnt and raided and pillaged and terrorized throughout the lands, so much that when Christendom identified it with the Devil Satan, the people who had lost their pagan traditions were happy to embrace the savior of the Lord. Remnants of this story and allusions to it are found throughout Europe and throughout Christian religious iconography. It is imperative to be aware that such phrases as 'Amen' retained by Christianty, are Egyptian words, Amen literally means the same as buddhist 'Ohm' and Celtic 'Ogham' which is a strong evidence toward proving that all religions stem from the same source, and mutate into different forms, becoming different religions. The roots of nature worshipping (not absolutely 'ecology' worshipping, take note of the difference) Druidry are in Egyptian reincarnation teachings, combined with acceptance that a new lifestyle is necessary for a new ecological environment. This is what drives the mutation into a separate religious system. The symbols of these systems all refer to the same root concepts. Merovingian artwork is typified by a particular geometric repeat motif style, using gold and red gemstone. The Vatican is a dominating political force of todays world stage (as are the global banking cartel; both corporate institutions perpetuate slavery systems). Several hundred years of its reforms and enforced social and political upheaval have ensured that the histories that it perpetuates are non inclusive of alternative histories and its own shameful past. "light itself casts no shadow"